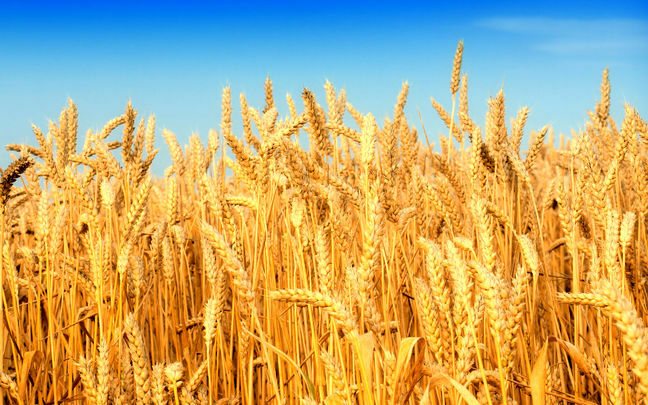 EghtesadOnline: Iran is among the top wheat consumers in the world. Consumption per capita in the country is estimated at 167.6 kilograms per year, almost three times the global average of some 67 kilograms. A review of imports shows that Iran over the past 15 years spent some $12.6 billion on buying more than 42 million tons of wheat. This is while the country has simultaneously sought to attain self-sufficiency, which on occasions led to success in either reducing or almost halting imports. However, these achievements were not sustainable, mainly due to mismanagement and climate conditions, Financial Tribune reported. In 2004, under the reformist government (1997-2005), Iran marked self-sufficiency in wheat production for the first time since the 1979 Islamic Revolution. The reformist administration also formulated a 10-year plan that outlined initial steps to reduce imports and envisioned strategies aimed at sustaining production in times of drought. The plan, however, was put aside under the administration of Mahmoud Ahmadinejad (2005-13) and the country again became reliant on imports to meet domestic needs, buying over 25.7 million tons of wheat during his two terms in power. But things began to change when President Hassan Rouhani took office in August 2013. His government has been taking a series of measures over the past four years to not only reduce imports significantly, but also to boost production to a level that has enabled Iran to again achieve self-sufficiency. With a record high output of 14 million tons last year, Iran has become an exporter of the strategic product. In June, the country sold wheat abroad for the first time in years. “The first cargo weighing 35,000 tons of wheat has been shipped to Oman,” Mohammad Reza Mortazavi, the head of the Federation of Iranian Food Industry Association, was quoted as saying on June 11 by local media. He expressed optimism that the country could engage in exports at “a high level” to Persian Gulf littoral states. According to Mortazavi, wheat export capacity in the current Iranian year (ending March 20, 2018) stands at 2 million tons, “which shows that there is no need to import wheat and Iran can turn into a major exporter of wheat and flour through proper planning”. As a first step toward self-sufficiency, Rouhani appointed Mahmoud Hojjati as his minister of agriculture. Hojjati, who held the same position in the reformist government, had overseen the achievement in 2004. The first full year of Rouhani’s first term saw imports of a record high volume of more than 7.2 million tons of wheat at a cost of $2.379 billion. Still, the amount paid was lower than the $2.58 billion spent on importing 6.7 million tons of wheat the previous year, under Ahmadinejad. Money spent on imports gradually declined in subsequent years and reached its lowest level, $367 million, in the last Iranian year, which ended March 20, 2017. Under Rouhani, multiple steps have been taken to increase production and reduce imports. These include a guaranteed price for the purchase of agricultural products, a rise in purchase prices, a reduction in cultivated land and allocation of funds to help supply seeds, fertilizers and pesticides to farmers. Measures have also been taken to help producers develop their irrigation systems and update their machinery. Moreover, the authorities have conducted training courses for farmers and employed 8,000 experts to supervise agricultural activities, along with expansion of cooperation with institutes such as the International Maize and Wheat Improvement Center. In addition, new types of seeds that are more resistant to drought are being used. Some experts believe another important measure was the establishment of the National Foundation of Wheat Farmers Empowerment. The foundation was formed in the fiscal 2015-16 with the aim of boosting wheat production. It announced in December 2015 a five-year plan aimed at attaining sustainable annual production of 13 million tons, without the need of procuring additional water resources and increasing areas under cultivation. Under Rouhani, the agriculture sector has played an important role in economic growth. Official figures show that the sector’s share of gross domestic product has increased to 12-13%, up from 9-10% in the years up to 2013. Many experts believe that due to its strategic importance for food security and also the important role of agriculture in the Iranian economy, the sector will continue to be among the main focal points of Rouhani’s second-term Cabinet. This is particularly the case since it could play a vital role in the president’s promise to create more jobs and implement “Resistance Economy,” which Leader Ayatollah Seyyed Ali Khamenei has repeatedly insisted on. Based on plans previously announced by government officials, Iran not only plans to maintain its current self-sufficiency in wheat production, but also seeks in the coming years to achieve the same status for other important products such as rice, corn, barley, sugar, cotton, oilseeds and several types of beans.